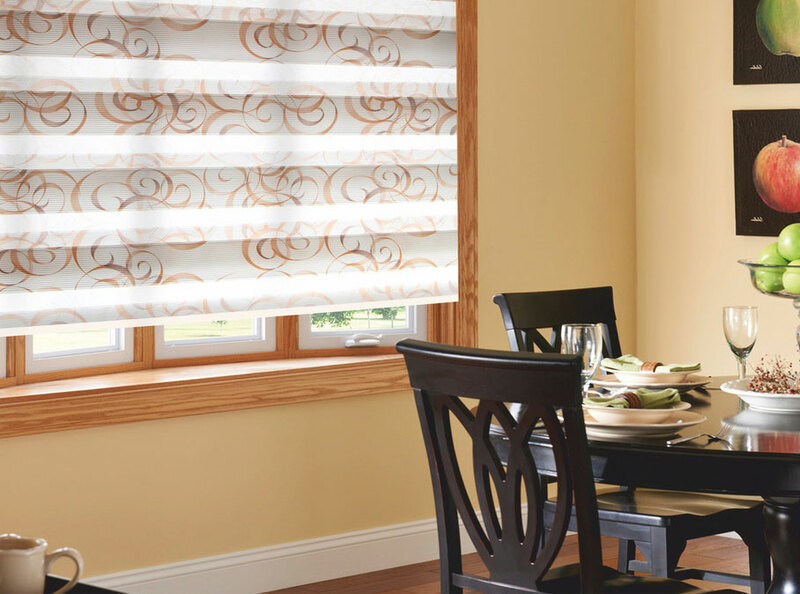 Which material to choose for roller shades? Which fastener is more reliable – open or closed? This and more read in our article. Also you can see a photo with examples of interior design by different types of roller blinds. 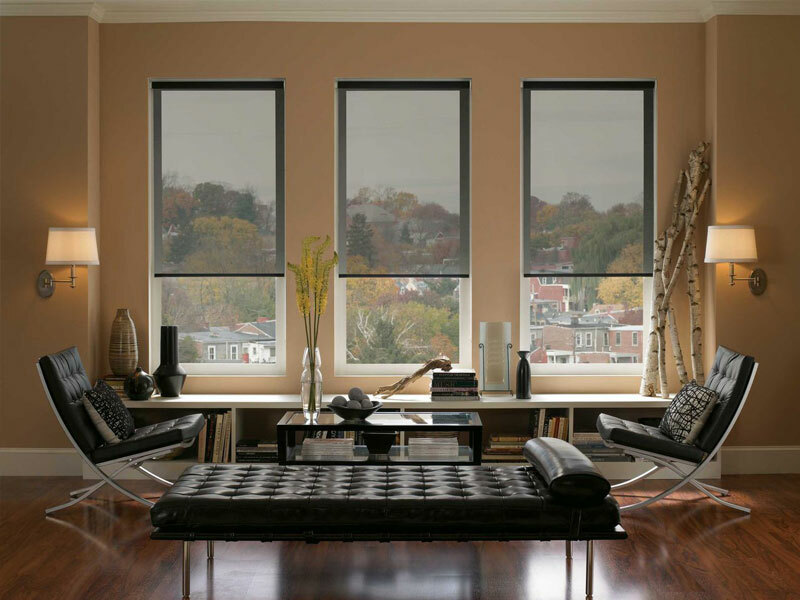 There is a wide range of choices of materials, colors and textures of modern roller shades. 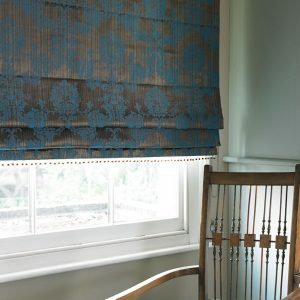 In more detail you can see visual examples and samples of such curtains in the online store Ikea. To understand how each of these subspecies differs, let’s examine them in more detail separately, highlighting all the pros and cons. the fabrics of these curtains are impregnated with a special dust-repellent composition (which greatly simplifies the care of them). For disadvantages of roller shades is only one: you can’t make roller blinds your self. To install them, better to invite a professional installer, who will install them properly. In fact, the main material for the production of roller blinds is fabric – the most diverse in density, color and texture. Benefit is a wide range of shades and patterns, allowing you to choose exactly what suits your interior. Minus – can be considered fragility and relatively rapid burning out in the sun, but again most fabrics are treated with a special compound to extend the life of curtains. 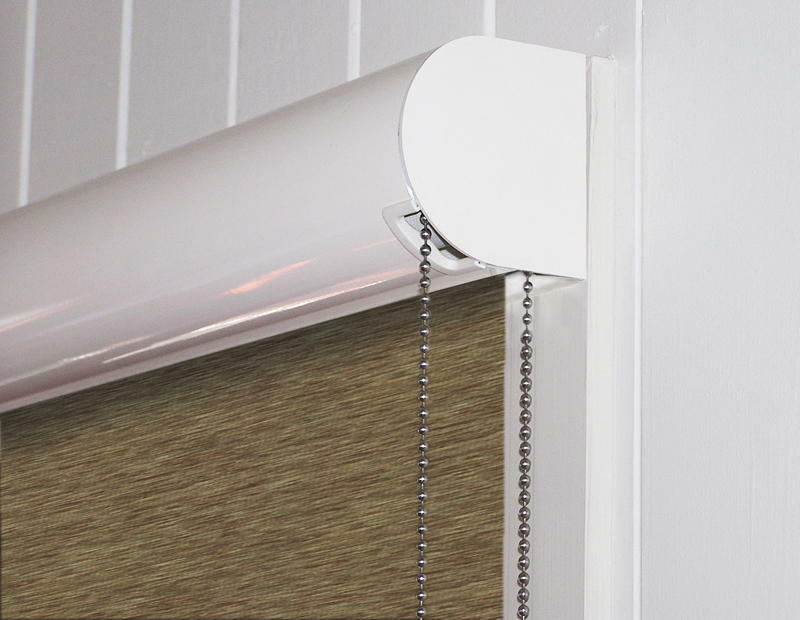 The roller blinds – this is a single continuous fabric, closing the window completely or partially. Directly behind the cloth are the guides, along which the lower bar moves, which prevents the cloth from leaving the glass during drafts. This type of fastening is a simple construction of a shaft with a cloth wound on it, a mechanism and a lower plate. All varieties are formed only from the difference in diameters of the shaft itself, the shape and thickness of the lower plate. At the same time, all such mechanisms function in the same way. However, when choosing an open mounting system, do not forget that the wider your roller blinds, the greater the shaft diameter. This type of fastening allows not only to cover the entire window opening completely, but also its individual doors. 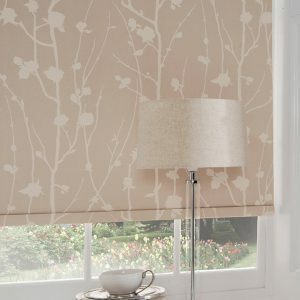 Prices on such roller blinds are relatively low. All the difference between the closed type of fastening and the open one is that there is still a box in the closed one, which subsequently closes the shaft with the cloth wound on it. With this type of attachment, it should be borne in mind that the fabric of the linen will be narrower than the window opening exactly at the width of the guides. Therefore, if you want to get a more “air” design, then pay attention to the open type of attachment. And if in the first place you have functionality and practicality, then you can not find a better one than a closed type. 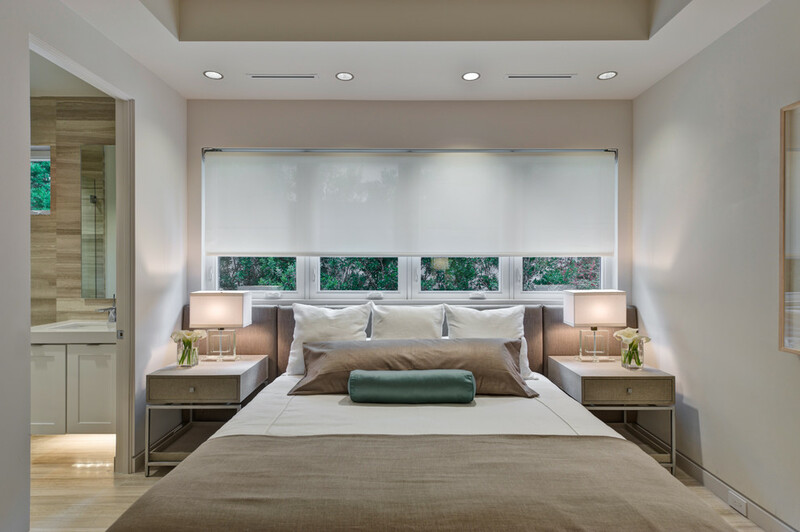 Roller blinds are not just an element of decor, they can still perform their main function – either to diffuse sunlight or completely darken the room. Let’s look at the basic types. This kind of roller blinds more refers to decorative. They perfectly disperse the sunlight penetrating through the window aperture. Not bad looking in combination with simple curtains or curtains. This type performs reflective or, in other words, opaque functions, that is, completely blocks the penetration of the sun’s rays, dimming the entire room. This type is appropriate in a children’s room or bedroom, where sometimes it is just necessary to have darkness in broad daylight. 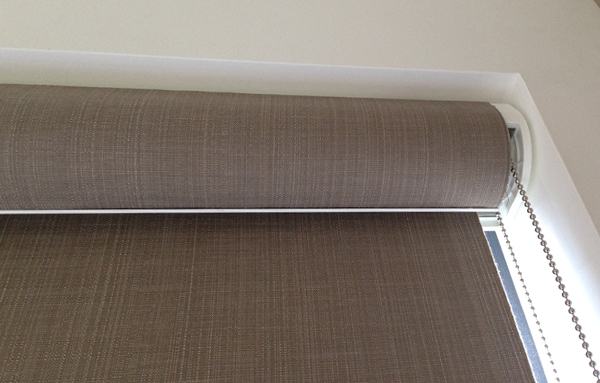 Roller blinds “day-night” – a mix of the two previous types. They consist of transparent and dense strips of fabric, varying which you either illuminate the room, or darken. Which, of course, is usefull. In each room of your house, any of us wants to feel comfortable. 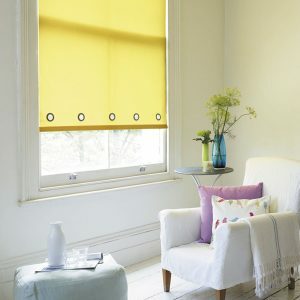 To do this, you need to be as careful as possible to the choice of roller blinds. After all, they are able not only to decorate our housing, but also to protect against undesirable penetration of sunlight. 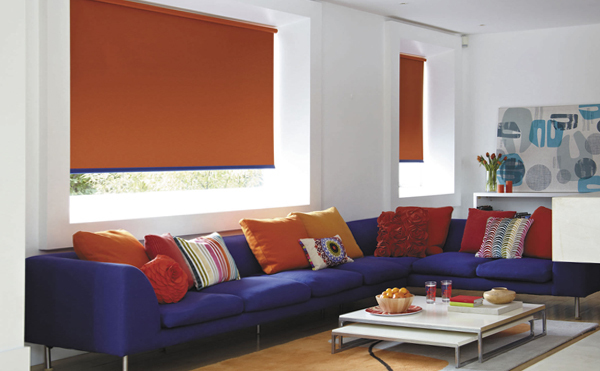 For the living room it is better to choose roller blinds of the “day-night” type. They can vary if necessary on the intensity of sunlight penetration. 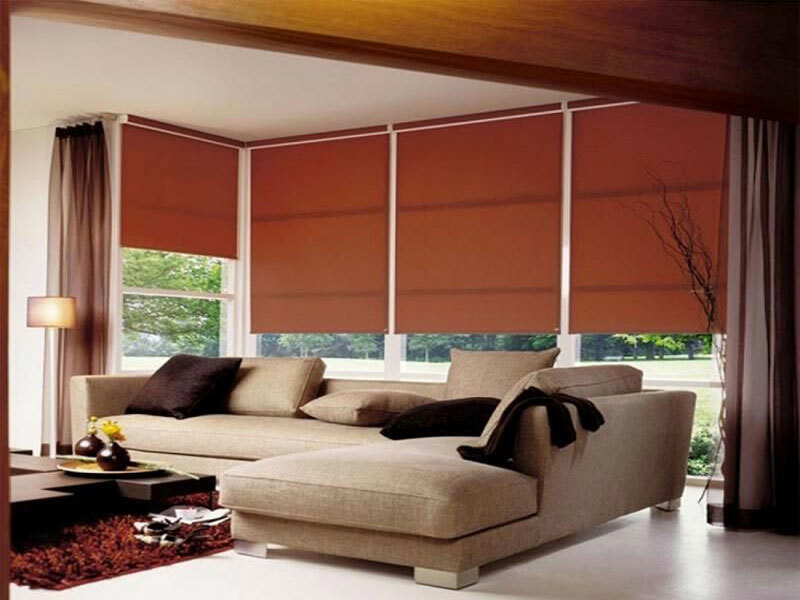 Roller blinds made of dense fabric will also be successful. They will create the necessary coziness. No less advantageous in the small living room are the curtains in the tone of the walls, but on such curtains there must be bright patterns or drawings. So your living room will become much more original and fresh. No less relevant in its use of roller blinds and in the kitchen. Here they are not so much a decor as a functional piece of furniture. Of course, select fabrics with water-repellent impregnation, which reduces the rapid occurrence of contaminants. 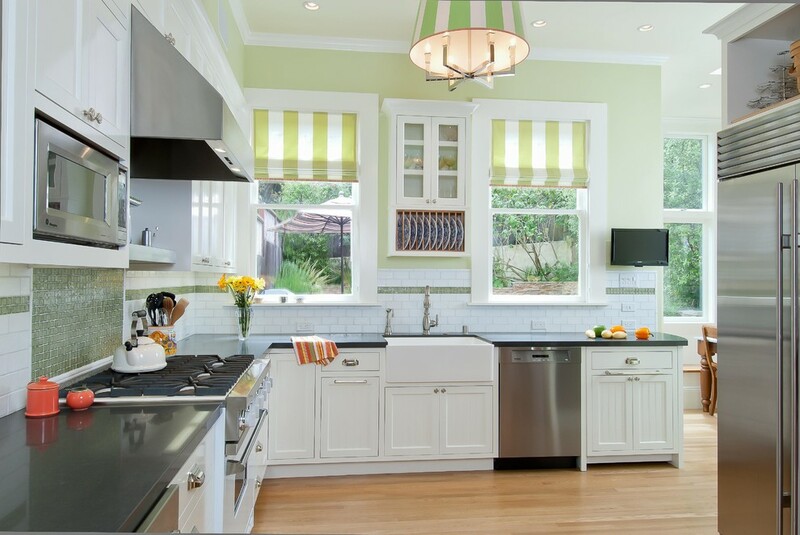 First of all, the roller blinds in the kitchen should be one whole with a common interior. It is not necessary that the curtains are long. Fairly good looks canvasses of medium length. 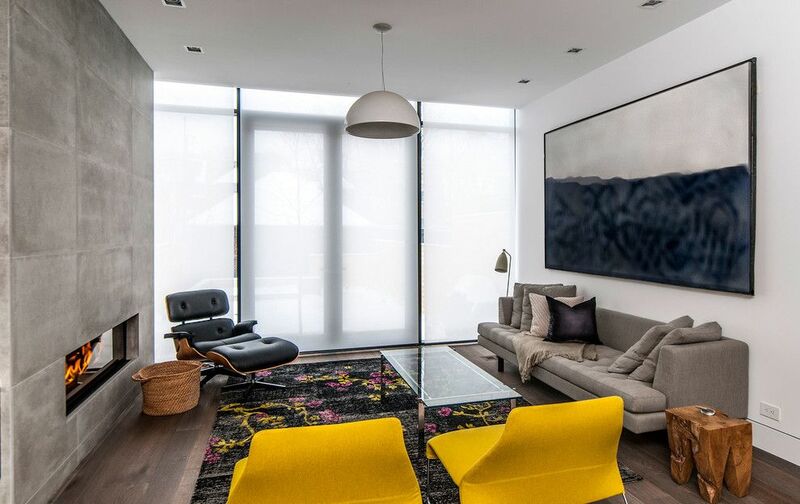 For this room it is better to choose curtains made from natural fabrics – they are more convenient to care for.